The Puffs are created from the gift of the universe to me putting them down on paper. They are characters acting out a play, performing for me as I write. The Puffs live in a village called the Sky Puff Village and you can only see them during the day. I have created many stories on these characters, their village, and other villages that interact with them. Watch throughout the day and you may see a Puff or two performing for you. 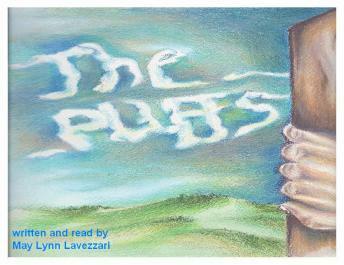 Author and narrator Debra May Lavezzari, writing as May Lynn Lavezzari, lives in the Rocky Mountains of Colorado. "The Puffs" are dedicated to her daughter Amanda and her two beautiful grandchildren. If you wish to contact the author, you can do so at MayLynnlavez@gmail.com.